You’ve probably heard the usual time management tips many times. You know that you should limit email review time, and avoid multi-tasking. But, you’re a small business owner. Delaying response time to a vital customer email might cost you future business. And, effective or not, sometimes multi-tasking is the only way to keep all balls in the air. Building good time management habits is essential to keep control over your day — and your sanity. You just need to find habits that are flexible enough to be realistic. When running a small business, it’s natural to take a reactive approach to the flurry of emergencies that seem to represent the rule, rather than the exception. Actually, that approach can lead to too many errors and low productivity. You need to develop proactive habits like the following. Unless you’re a solopreneur, you don’t have to do everything yourself, no matter how much you believe that you need absolute control over every project. Last year, I wrote a STARTicle that pointed out the reasons why every business owner really needs someone to rely on who can keep things going in the event of accidents, illness, or even a bit of refreshing vacation time. Guess what? Well trained delegates are also among the best time management tools. Whether you just need help clearing off too many things on your plate, or if you need someone to handle things in the workplace while you respond to a sudden customer emergency, wouldn’t it be great if you can just ask Chris to take up the slack? A basic to-do list can be an effective way to keep you focused on your priorities. But, most tasks are actually comprised of multiple sub-tasks, so a to-do list entry of Do weekly payroll doesn’t really present a clear picture. To make sure that you really know how much time you need, separate entries, such as Update payroll for employee changes, Notify bank of changes for direct deposit, and then process weekly payroll let you control time more wisely. An investment in a project management tool or even task tracking software can help you identify sub-tasks more accurately by providing clear knowledge of how much time that you and your team will spend on each task from your to-do list. If you already track time for payroll or billing purposes, then you may already have access to this valuable information within your accounting system. 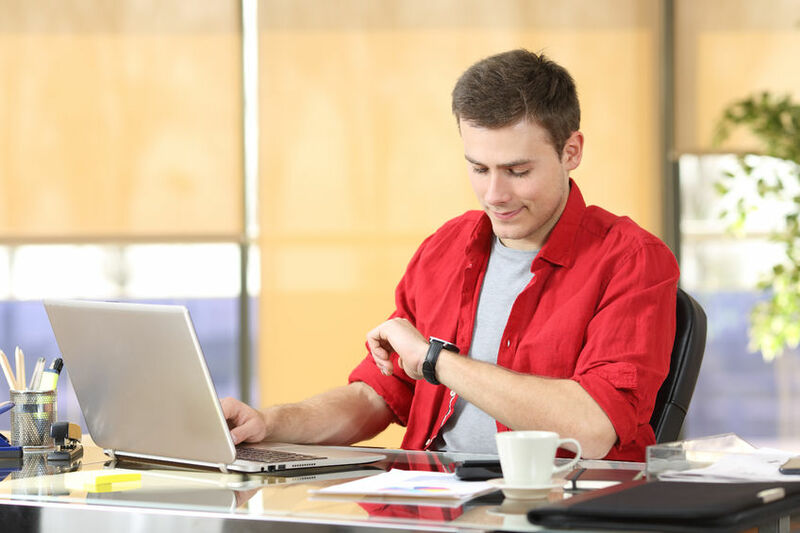 For example, between QuickBooks and its companion product, TSheets, employees can meticulously track their time, whether they are in the office or even while on the road, thanks to a smart phone app. This information makes it easier to plan future projects based on historical information. Certain tasks don’t seem productive, whether you’re looking for important documents, chatting with employees or doing mountains of paperwork. These tasks are all necessary, even if they don’t directly increase profits, but one study indicated that managers estimate that they spend two days per week on administrative tasks. To manage your time effectively, you have to accurately account for this time in your daily plan. And, if you find that you’re spending too much time due to the lack of a good organizational system, check out these organizing tips. If you’ve ever felt extreme gratitude when your dentist squeezed you in when you call with a sudden toothache, then you have already seen the value of schedules with breathing room. Just because the dentist schedules appointments in 30-minute increments, it doesn’t mean that every procedure really takes that long (even if it seems even longer to patients). Everyone’s time management process should follow this example. So, assuming that you work eight hours a day, maybe limit your to-do list to six hours’ worth of work. This provides the flexibility that you need to squeeze in customer emergencies and other sudden events without totally obliterating your daily plans. Don’t forget the interests and ideas that brought you into the business in the first place. As a writer, I love putting words on paper (well, computer screens), and I certainly enjoy writing business articles. But, I really love writing funny blogs about dealing with my wily dog. My business writing pays the bills, and it always takes priority on my to-do list. But, scheduling at least a few hours per month for dog humor reminds me why I love writing — and do it for a living. Just as important, it refreshes my writing skills and often provides inspiration and ideas for my business writing. So, don’t be surprised if feeding your muse also feeds your business goals. As a small business owner, 24/7 is probably the norm, but without a break, you can probably add burnout to your to-do list. Frankly, it’s better to add time-off to the list, instead. Schedule a weekend off. Even better, add a trip to the Bahamas to your calendar (preferably without your phone always at your side, if I’m not asking too much). And, consider that appointment as important as a meeting with a major new client. If you’re a solopreneur, you may have to call in a virtual assistant to handle things while you’re gone, but it will be well worth the additional expense. Small business owners face a dilemma. Every minute spent on anything other than tasks that directly affect the bottom line seem like time wasted. In practice, administrative tasks and other activities all eventually lead to business success. As long as you stay focused when allocating your time, you will accomplish each task more efficiently. By using time management habits to avoid distractions, you complete your work more effectively. This is what success is all about.